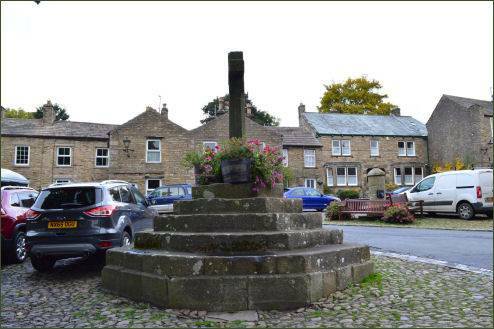 The linear village of Askrigg lies at the heart of the Yorkshire Dales National Park, in beautiful Upper Wensleydale and is situated 5 miles to the east of Hawes. 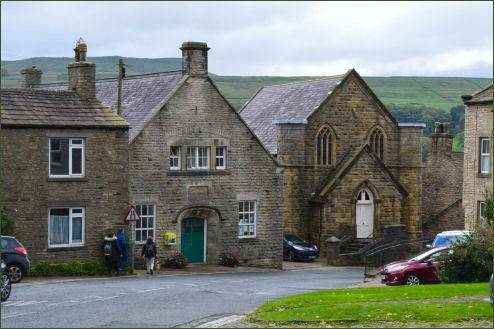 Askrigg is famous for its association with the fictional vet James Herriot, and played the part of Darrowby in the BBC television series 'All Creatures Great and Small'. The series was based on the novels of a real-life veterinary surgeon, Alf Wright, who worked in nearby Thirsk. 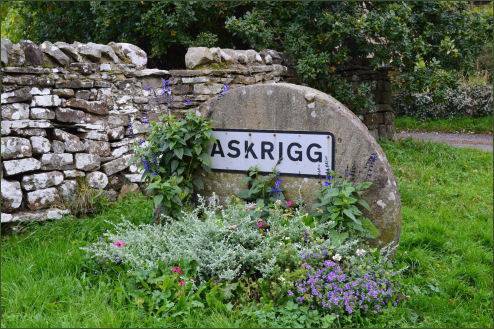 The name Askrigg is of Old Norse origin and combines askr (ash tree) and hryggr (ridge), meaning the ridge where ash trees grow and denotes the Viking settlement of the area. The village is mentioned in the Domesday Survey of 1086, where it is recorded as 'Ascric'. At the time of the Norman conquest it was held by one, Arnketil. It was later granted to Count Alan of Brittany by William the Conqueror who then gave the lordship of the manor to Gospatric, son of Arnketil. 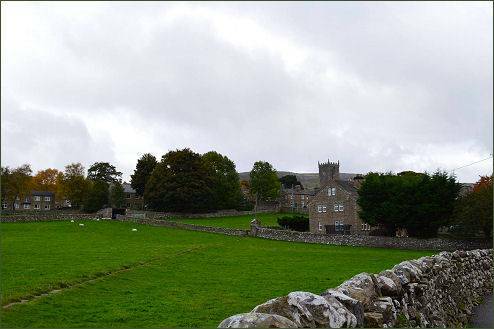 By 1251 Askrigg had passed to the Fitz Hugh family and remained in their ownership until the early sixteenth century, when it came into the possession of Sir Thomas Parr. His son William died without issue in 1571 when the estate reverted to the Crown. The village was the home of the Metcalfe family who lived at nearby Nappa Hall. Mary, Queen of Scots, was once lodged in the house during her long imprisonment in England, probably before she was moved to Bolton Castle further down the valley. 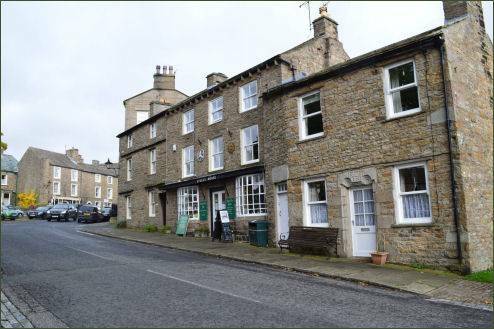 Askrigg has a rich heritage of clock-making and hand-knitting, in 1784 a cotton mill opened, but later changed into a woollen mill, supplying yarn to the local knitting industry. The village was home to some of England's great clockmakers in the eighteenth century. The characterful cobbled market place, which exudes typical Yorkshire rural charm, contains a fine market cross which was erected in 1830, a stone pump and an iron bull ring set into the cobbles. The bull ring dates from the eighteenth century and earlier, when bulls would be tied there and then attacked or baited with dogs. There are two pubs in the village, the Crown is a Victorian building, the Kings Arms (pictured above right), the setting for the Drover's Inn, dates to 1767 and was built as a coaching inn. There are also several shops and a restaurant. At the bottom of the Main Street adjacent to the church, is 'Skeldale House' of All Creatures Great and Small. 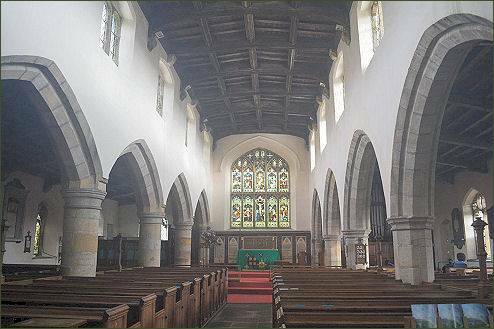 The village church of St Oswald was built 1466 in the Perpendicular Gothic style. A former chantry chapel in the south aisle is dedicated to St Anne and hosts memorials to generations of the Metcalfe family of Nappa. The stained glass window in the east wall is dedicated to the memory of George Winn, who drowned while crossing Aysgarth Ford in 1876. A ring cairn which dates to the Bronze Age stands around 400 yards to the west of the church. Askrigg, surrounded by the stunning scenery of Wensleydale, is a popular walking holiday destination, spectacular Aysgarth Falls is situated around 4 miles from the village. Gill Force is just a short three and a half mile walk. 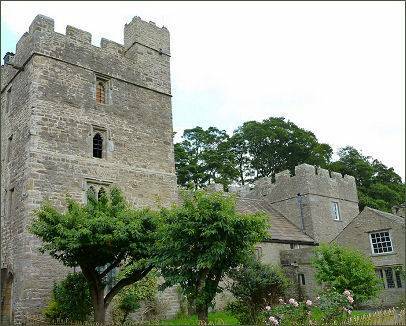 Nappa Hall, a fortified manor house and a Grade I listed building, stands around a mile to the east of Askrigg and overlooks fields leading down to the River Ure. It has been described by English Heritage as "probably the finest and least-spoilt fortified manor house in the north of England". The hall consists of single-storey central hall which stands between two towers. The four-storey tower has a turret, lit by slit vents, for a spiral staircase that climbs to the crenellated parapets. The taller tower retains its original windows. An additional wing was added in the seventeenth century. The place name Nappa is first recorded in about 1251 as Nappay,and is of uncertain origin, but may derives from the Old English hnæpp gehæg, meaning "enclosure in a bowl-shaped hollow" The manor of Nappa was originally part of the manor of Askrigg but by the late thirteenth century had become a separate estate. It was owned by the influential Scrope family for some generations, but in the late fourteenth century Richard le Scrope granted the estate to James Metcalfe of Worton. Originating in Dentdale, the Metcalfes prospered during the fiftenth and sixteenth centuries. James Metcalfe took part in the French campaign in 1415, and was a Captain at the battle of Agincourt, where he followed the Scropes of Bolton Castle. The second James Metcalfe of Nappa became chancellor of the Duchy of Lancaster during the reign of Henry VI and held high offices in the lordships of Richmond and Middleham. An earlier house occupied the site, but most of the present house was constructed by Thomas Metcalfe in the 1470s, at a time when there were frequent raids by the Scots. Legend states that the ill-fated Mary Queen of Scots stayed at Nappa Hall for two nights while under house arrest at Bolton Castle and that her son, King James I visited the house. The house declined with the fortunes of the Metcalfe family in the seventeenth century.